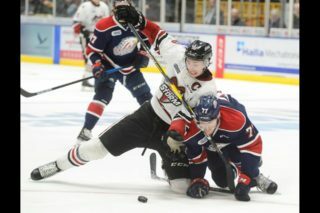 It could be a rare season in the OHL’s Western Conference, where parity has invaded the standings. No runaway team, no major separation yet between the contenders and the pretenders: it’s a conference where just nine points separated second place from ninth place after Sunday’s action. 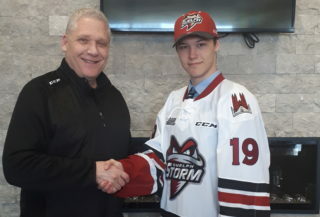 The Guelph Storm had a chance to move into the top four teams Sunday with a win over the London Knights, but a 5-1 loss at the Sleeman Centre leaves them tied for sixth place with those same Knights. 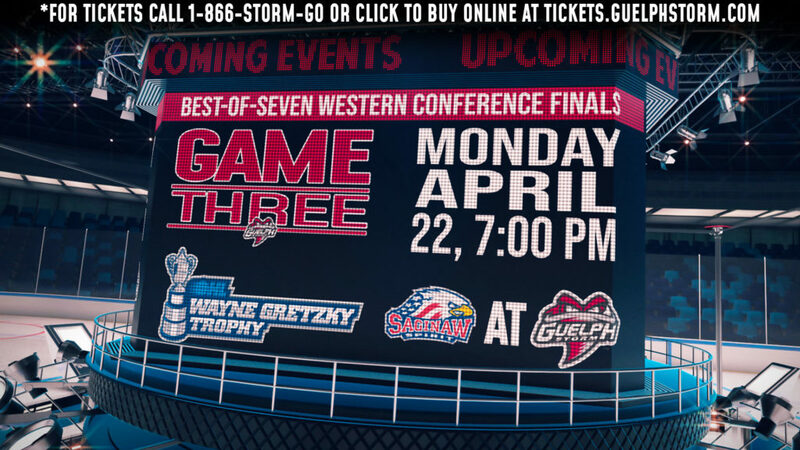 “I don’t think I’d be counting anybody out yet,” said Guelph coach George Burnett after Sunday’s loss. Guelph has not had its full lineup all season, and won’t for at least two more games after Liam Hawel was given a match penalty for slew footing on Sunday. That’s an automatic two-game suspension and maybe more following a review by the league. “I’d like to have all hands on deck for a period of time to see where we fit into the mix,” Burnett said. 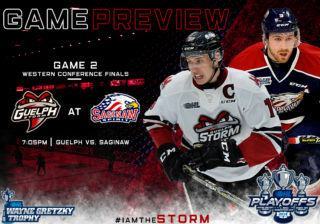 After winning its first two games of the weekend, the Storm came into Sunday’s game looking for the rare three-in-three sweep. It was a tight contest in the early going, with the game tied 0-0 early in the second period.